This annual meteor shower will take place April 16-25, but the best time to see it will be April 21-22, when anywhere between five and 20 meteors will be visible every hour in the night sky. 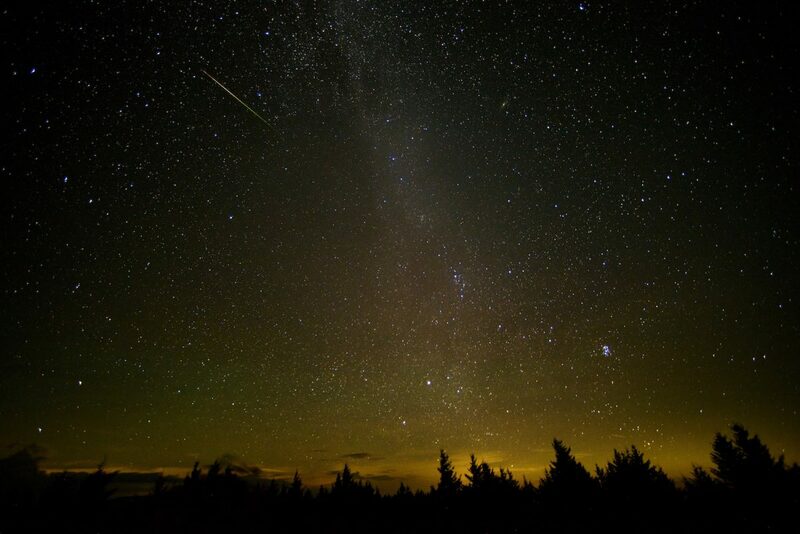 This meteor shower is one of two originating from Halley’s Comet. In the Northern Hermisphere, you should expect to see around 25 meteors per hour before dawn. Look out for Venus close to the thin waxing crescent moon around sunset. Perhaps a good excuse for an evening picnic! While this is a total eclipse, stargazers in the UK will only be able to see the end of it as the moon returns from its ‘blood moon’ red colour to its usual grey. This will be the third eclipse of 2018, with the moon covering part of the sun as it passes between the sun and Earth. One of the most popular celestial events to watch each year, this shower will see an amazing 150 bright meteors per hour gracing the night sky. While not quite as dramatic as Perseid, this meteor shower still has a very respectable 20 meteors per hour, which will be visible as dust from Halley’s Comet streams across the sky. If you only see one meteor shower this year, make it this one! It hasn’t happened since 2002 and probably won’t happen again for another 14 years. Named after the constellation Leo, which is its radiation point, this shower can produce a whopping 1,000 meteors per hour! Celebrate the festive season with this final main event in the heavens, which can produce more than one meteor per minute.